Hey guys, today I’m coming at you with an award tag! I was tagged by the lovely Erin @ Aredheadsrambling to do the Unique Blogger Award. This was such an honour so thank you so much Erin, it means a lot to me to have been nominated! Share the link/s of the blogger/s who has/have shown love to you by nominating you. In the spirit of spreading the love nominate 8-13 people for the same award. 1 IF YOU COULD BE BEST FRIENDS WITH ONE BOOKISH CHARACTER WHO WOULD YOU CHOOSE AND WHY? Noah Czerny is the ultimate best friend and I love him. He is my ultimate Hufflepuff friend and I totally want to hang out with him. He is my favourite (but not most relatable) character. I totally think he’s a Hufflepuff – he is loyal and always thinks about his friends, which to me encompasses a Hufflepuff. I know that he also does some stupid (but fun) stuff with Ronan but you know what, who ever said Hufflepuff’s had to just be nice and follow the rules? Let them live and actually have personalities, please. 2 WHAT THREE SONGS WOULD YOU PICK AS THE PLAYLIST TO YOUR LIFE? The Marvel theme. No, I’m kidding, though it would totally explain my obsession with superheroes. 3 IF YOU COULD ONLY WATCH ONE FILM FOR THE REST OF YOUR LIFE WHAT WOULD YOU PICK AND WHY? Honestly, I think I’m going to have to go with Brother Bear. I recently did a post about my favourite movies and when I first saw this question I did immediately think of The Age of Adeline but the more I think about it now, I don’t think it properly has enough in it for me to watch it for the rest of my life. 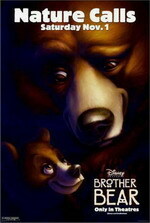 So… *drum roll even though you’ve already seen the poster lol*… Brother Bear is going to be my answer for this one. It ticks all my boxes and I’ve pretty much been watching it for my whole life so far anyway. WHAT FILM WOULD YOU WATCH FOR THE REST OF YOUR LIFE? WHO WOULD BE YOUR BEST BOOKISH FRIEND? oh my goshhhh tysm for the nom??????? can I just take a moment to salute you for picking noah as your best friend bc that is a solid decision. NOAH IS SM FUN. remember that scene with blue when they played in the monmouth manufacturing all day doing crab walks + eating + kissing for fun just bc blue wanted to learn but it was fine bc they are best friends oh my goshhhhhhhh I NEARLY DIED. he is the sweetest. and he’s always playing with blue’s hair. THIS BOY. he desrved better in his life. No problem! 😍😍 Haha, thank you! I love Noah so much, he’s definitely my favourite character in the series! 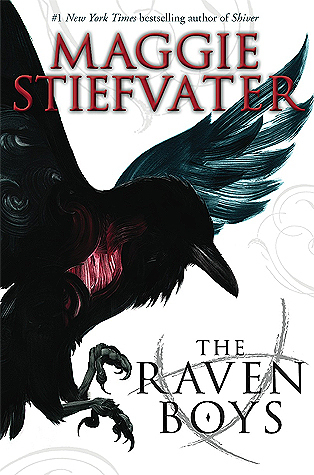 Your comment is making me want to re-read the series uhhhhh I don’t have time to get re-obsessed with these characters!! it’s worth it Ellyn come back to the dark side we love you.